You can reach the Rainbow Beach Coloured sands by either driving along the shoreline from Rainbow Beach to Inskip Point or by heading there on foot from the town of Rainbow Beach. 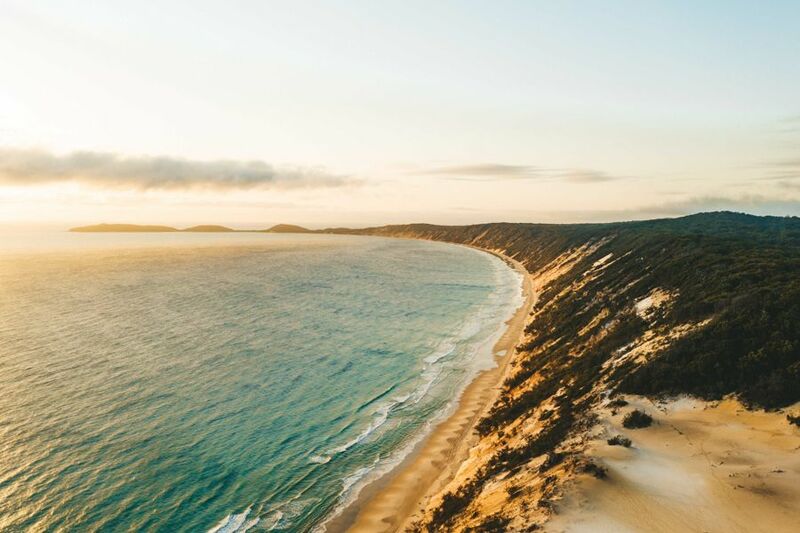 The beginning of the sands can be found about 2km away from the Rainbow Beach Surf Life Saving Club where visitors can enjoy the view as they walk or drive along the beach! Be sure to take plenty of water along with you as well as a camera so you can capture some memories along the way. The colossal cliffs are not only famous for their colours, but also for their immense size.They can reach heights of 80 metres and boast layers upon layers of coloured sand deposits. They are a natural record of the passage of time with each layer representing a different era. There are about 72 different colours of sands represented here, said to be viewed best after wind or rain when the colours are best exposed. The rainbow sands are of significance to the native inhabitants to the area who believe the towering sands are the resting place of a rainbow who died for the love of a woman. 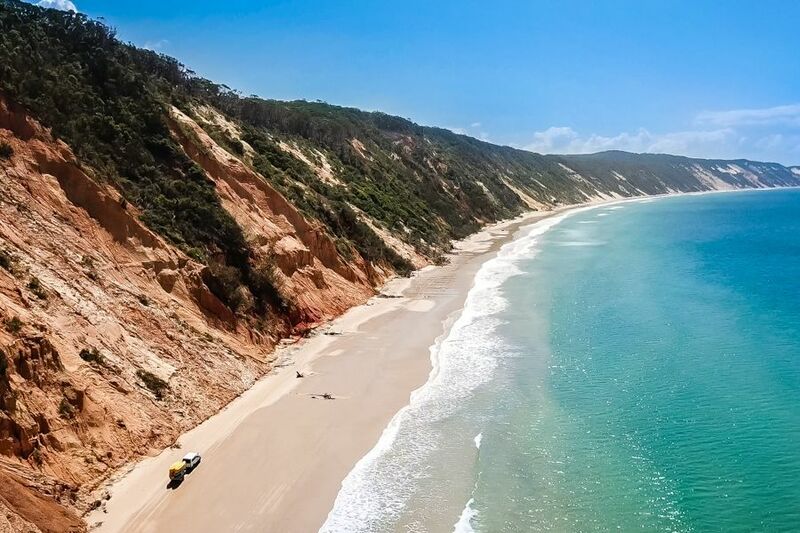 For this reason, Rainbow Beach is still considered to be a place of safety, allowing the women who visit to benefit from the protection of the rainbow. However, its amazing beauty also attracts people from all over the world who come to marvel at nature's masterpiece which has been thousands of years in the making! 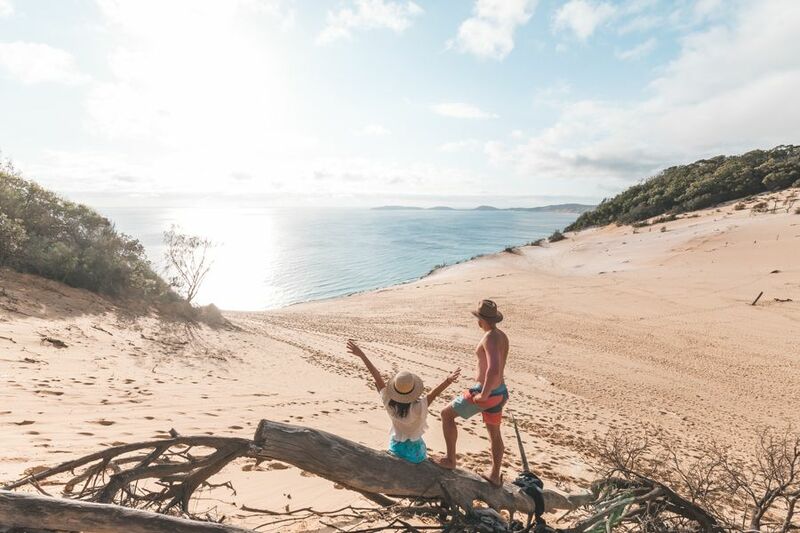 The Coloured Sands of Rainbow Beach are worth a trip to visit and witness the amazing natural beauty found along the Fraser Coast.